Free! is set in the town of Iwatobi, which is based on the real town of Iwami, Tottori. Iwami has since used Free! to promote tourism to the town. The story starts with four boys—Haruka, Makoto, Nagisa and Rin—before they graduate from elementary school. They all participated in a swimming tournament and won, though they parted ways. Years later, Haruka and Makoto reunite with Nagisa when he enrolls in their high school. Not long after, Rin, who was thought to be in Australia, turns up and challenges Haruka to a race and wins. Afterward, Nagisa suggests creating a swimming club and using the school’s run-down outdoor pool. Haruka, Makoto, Nagisa, and later on, Rei, create the Iwatobi High School Swimming Club and work together to make the club a success. Rin’s victory over Haruka means nothing to him as he realizes that Haruka had stopped swimming competitively and wasn’t in top shape. He claims that he cannot get over the fact until Haruka competes against him for real. The members of the Iwatobi High School Swim Club later enter a swimming competition against Rin. So it happened. I’ve officially joined the free lovers club. This was my first experience with a different direction KyotoAni took but again this studio continues to reel me with the emotion factor. From across judgements people have made of Free, “Just pretty boys and fan service mixed together”. That’s all it seems this show has been portrayed as from when it first aired, though the female fan base would never complain. It’s important to me when watching any new anime, to look beyond the hour glass, Was there more to Free than hot bods? It’s amazing what you get out of watching anything, Free was a reminder from a personal place. Out of all of the boys, Haru was the one that loved swimming the most, this is the best attribute about him. As there was nothing else that jumped out at you honestly about him, but through his character I find myself reminiscing of my love for the water. Up until a few months ago and before, I’d go swimming nearly every Sunday but somewhere along the way, that died off. Haru during the course of the show, would rather run from his problems, not wanting to compete competitively, think about his future. Swimming was his solace, saying that makes me wish I had seen Free sooner, could have done a Sanctuary piece on Haru, Dam. It’s a indescribable feeling if you love the water yourself or being on the beach, it has this calmness that washes over you. Being in the water was the only place Haru felt like he was free from anything as his saying goes “I only swim freestyle”. All the times I went swimming just knew it was my happy place, just like for Haru. We all need our place to think, get away the water was me and Haru’s. Were going back to the question I asked earlier Was there more to Free than hot bods? My answer is to this yes. The majority of reviews I’ve come across on Free just plaster it like no tomorrow than as a “fan service mess”, which in my opinion is not vastly true. Free is a good example of being plastered as nothing but “Fan service” it’s what people perceive it to be. This relates back too my “Has This Been You? post. Where I discussed the prejudgement people have towards trying out new anime. It’s a shame to underestimate the entirety of Free as if you look beyond the bodies and fan boy close ups, there’s a story of reconnection old ties and forming realisations for all our main cast of characters. This series has such a fun, upbeat cast of characters that made me laugh to no end Nagisa the fun bean, Haru who wants to be water whenever possible, Rei finds the beauty in everything, Makoto the motherly figure and Rin stubborn mule. Diverting back to reconnection old ties throughout season one the full focus is on Rin as he had always dreamed of making onto a olympic swim team, following on from where his dad didn’t. He went to Australia to learn from the best leaving his friends Matoko, Nagisa and Haru. Few years later when Rin comes back, he is rather cold towards the others, as Rin changed and now for the longest time had been set on trying to beat Haru. I’ll tell you Rin grows a lot more as a character in season two (Eternal Summer) but it was enjoyable to watch the progression of Rin realising where he had lost his way. Finally when regaining his lost friendships with the others, Rin’s character you feel from the perspective of how we forget the reasoning behind of starting something. You can question if Rin’s characters was put to a point of oversensitive, example in episode twelve where Rin pulls a dump stunt so he can swim with the others. Even though they won the relay, later on disqualified it was an emotional moment for Rin, as he felt he gained back his old ties with Matoko, Nagisa and Haru. What I felt pushed towards this moment more when Rei a previous member of the track team joined Iwatobi swim club. Rin seeing from afar as once was apart of iwatobi, seeing when Iwatobi working together as a swim club again. It struck a nerve in Rin but moreover Rei’s intervention, own annoyance of Rin’s cold behaviour towards the others and Haru, gave Rin the realisation or slap in the face he needed to steer him on the path he once was on and regained desire to swim with others once again. Sometimes when you can’t find motivation within yourself they say, it’s others around you that bring the best out in you. Haru and Rin do exactly that for one another, though it took them till towards the end of season two. Rin admits in episode 11 in Eternal Summer, that he can’t swim at his best unless it’s against Haru, he relights a fire in him. Haru on the opposite end, never cared for times, being competitive, simply wanted to swim. Everyone was worried about what path Haru would choose for himself when he graduated, but Haru denied to even give it any thought. When Rin took Haru to Australia in season two, completely opened up Haru’s eyes, there he finally realised his own dream, desires. Rin knew exactly the push Haru needed, thus Haru began wishing to accept all the things that come with the sport of swimming. These two never stopped being friends really in my eyes, just change can feel like they divide you, but their friendship is something I admired in the series, the pure honesty of it all. But immature pair at that. All our boys in this series gained something all in common not just Rin and Haru’s individual realisation but the love for being apart of a team This affects more than anyone in the group Rei as he is someone about solving in doing things with numbers and brain power. Rei’s ends up seeing Haru as inspiration as I remember the episode he’s captivated how freely Haru was in the water. Rei really comes into his own learning how to swim from the ground up and learning that you have to let things come naturally. Rei’s growth as a character threw the two seasons, I enjoyed most out of everyone, his love for his team and swimming is something inspiring. These boys and their tight bonds are something you shouldn’t question when it comes to this series, Kyoto animation taking on such a different direction in genre was a good move. The flawless animation as we all know when it comes to KyoAni only heightened the raw bonds and emotions of our main characters, you know especially in those moments Rin cries. They got me bad I tell you. But one aspect of Free that truly captured me aside from tiding bonds was the music, I’ve listened to all the original soundtracks and. . . are a top favourite already. It’s been sometime since any music from a series, truly stood out to me, last time that happened was watching Nagi no Asukara. Free’s music is so Versatile and mixed “Rage Swimming” a upbeat, electrifying piece which was used in season one, when Rin and Haru race one another for the first time in years. The whole action of scene got me so excited, it becomes addictive “Powerful Swimming” is similar having the same effect. High energy beats like these were used to well in all the competitive swimming scenes, makes you feel invested in struggle of the swimmers desire to win, qualify. Referring back to mixed, their is a great consistency in upbeat, but pieces like “A Boy In The Water” and “Eternal Friendship” bring things down to earth a bit, very mellow melodies. True emotional scenes like Rin finally being part of the time again, Haru and Rin’s fight at the end of season two. These scenes are so clear in my mind as it’s hard to forget the grounding, mellow melodies creating that affect of finding yourself becoming invested in what’s transpiring in the scene. If there is one thing I would defend to no end on the series Free. It’s the music my friends because it’s the Aquatic factor that has one up now on Nagi no Asukara. In it’s versatile and mixed use of various pieces. So the fan service and half naked boy is a bonus honestly? you can think what you will but Free beyond the scope is such a fun watch in general. It’s nothing overly that fantastic but the series doesn’t try to be, it goes with the flow of things and created this beautiful, enjoyable series about friendship and what it means to be a team. This is my perception of Free, if yours is “I get to see all the half naked men” good for you as that is not a bad thing, I’m a girl after all so course I have to agree. If anything the experience I can take away with me from Free is how much I miss swimming. God dam it, seriously need to get back into the water. The way Free handles it’s gentle flow of competitive swimming and character drama it’s makes one hell of an enjoyable ride. If anything it’s a series to just roll with for what it is and it’ll be your cup of tea or not. For those that have asked…. Rin is best boy. 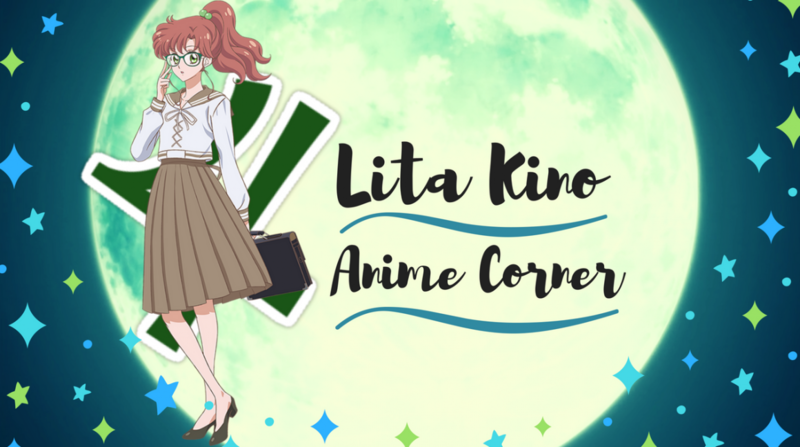 I hope you guys enjoyed my review on Free, that’s 3/5 so far, sorry it’s been a slow process to get through these shows but next up I’ll be watching is the drama filled Your Lie In April oh lord.!! Please comment below any thoughts you have. Do you guys love this series? and why? one of us! one of us! I’m so glad you’re apart of the free! fandom now! 😀 Great review Lita! I absolutely LOVED this! ❤ ❤ but of course I would!! Thank you for pointing out the relationships and connections and friendships. That's exactly WHY I love this anime sooo much. Especially Makoto. Makoto is literally my male counterpart. LOL. I absolute love Free! and as you said it defenitly is not just a huge mess of fan service. It’s interesting to see that it had a similar effect on you that it did me, when it came to reminiscing about… water. Being in it, swimming in it, splashing around. There’s something about the way Free! handles water that makes you, at least to some extent, want to go swimming. Here’s me looking forward to the upcoming movies. Great review! I watched the first season a while ago, this is a great refresher! Yay! Welcome to the club, Lita! High-five! I’m so happy that you loved Free! It’s not the best sports anime (and I watched a LOT of sports anime), but it can hold its own. Not to mention those hot guys. But like you say in this post, if we look behind the gorgeous characters and their hot bodies, we can see a lot of character development and the upcoming drama that comes with their interactions. Nice post. Cheers!